Beijing 161 Lama Temple Courtyard Hotel located on one of peaufully hutong area, it is only 5 minutes walking to the lama temple and Bei Xin Qiao (Line 5)subway station, and also it is only short distance to most popular attractions like Tiananmen Square, Forbidden City & Wang fu jing night market. Especially only 2 minutes walking to the famous night market---ghost street. It’s a chain hotel of Beijing 161 Lama Temple Courtyard Hotel. 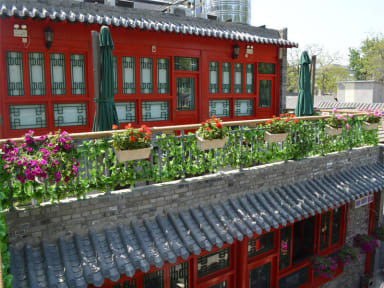 We offer the traditional Chinese-style rooms with free internet access and 24-hours reception. All the room with cable TVs, telephone, AC, Hair dryer, towel, slipper, washing set etc. For your convenience, a fridge and safety box are provided in your room as well. Each comfortable room has their own features and hand-picked classic furnishings. 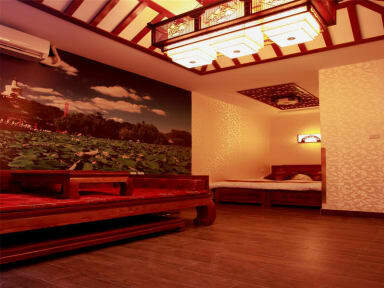 They are decorated with wooden floor, chinese -style duxury beds with just be perfect light of lamp. You will feel like you're back in ancient China When you step into the room on first step. Day trips (like hiking from jinshan ling to sima tai great wall), pick up & drop off service, car hire and train or fly ticket booking, bicycle rental, laundry services are all provided. All the staff at The Lama Temple Courtyard Hotel are fabulous. They are extremely friendly, hospitable and accommodating. A great place to base yourself in Beijing. Thank you for the great time with the great staff! Everything perfect. Wonderful area, wouldn't stay anywhere else! A friend and I stayed here for one night before our flight and found this hostel to cost a bit more than average, but the location was fantastic and a close walk to an awesome neighborhood with tons of food, bars, sights, and clubs. The staff was friendly and set up a driver to take us to the airport (and even gave us a handwritten card upon leaving!). The room itself was very pretty, although the bed was a little hard and the shower a tad wonky. Overall, it was a great place to stay. Joanne was great! Helped us figure out where to go and spoke great English! Rooms cleaned daily and new towels daily! Would recommend to a friend! The location and staff were great, but the room was quite small and we saw two cockroaches.